This type of plant is dedicated to tradesmen, small and medium service centres, and manufacturers of air-conditioning systems, air ducts, guttering and spouting, prefabricated roofs and walls, and sheds and tanks that require precision, reliability and the maximum productivity. Lines dedicated to companies that carry out pressing, for themselves and for third parties, that require precision, reliability and the maximum productivity. 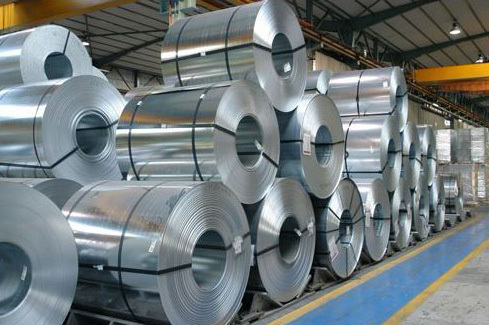 A line capable of covering all the clientele’s needs, subdivided by category according to type, width and thickness of the material and quantity to produce. Automatic lines for feeding presses of all sizes dedicated to service centres, and manufacturersthat require precision, reliability and the maximum productivity. An entire range dedicated to tradesmen, small and medium service centres, manufacturers of air-conditioning systems, air ducts, guttering and spouting, roofs and walls. 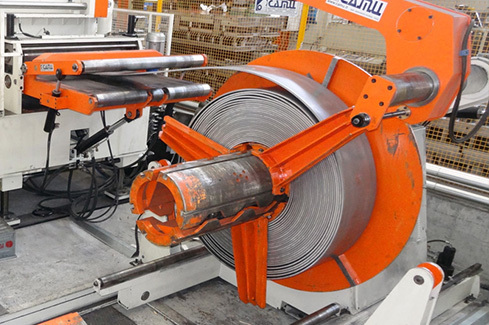 CAMU, The world’s leading company in manufacturing coil processing lines and sheet metal coil leveling since 1980, is located in Bressanvido (VI) and realizes the production and assembly in two facilities of a total 4.200 m2 with a staff of 48 people. 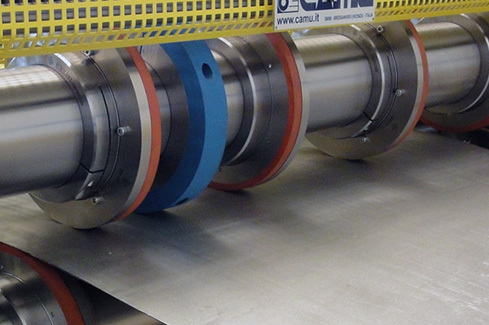 CAMU always designs and builds innovative machines 100% made in Italy, such as cut to length lines with leveller 4H-6H, Slitting lines, recoiling and inspection lines, coil to coil, combined lines, packaging lines, feeding lines, as well as special purpose machines to satisfy the particular needs of each customer. Over many years of activity, in addition to many new developments, CAMU’s production has been optimized for greater and greater flexibility, also in order to update old production models. Thanks to these implementations, customers can always modernize their lines with the most modern technologies to bring them up to date. All components are built in accordance with precise standards and ensure constant quality over time. As a result, customers can always count on the maximum efficiency and save time when planning work. With on-line diagnostics customers are able to contact the CAMU support network easily and quickly. After receiving authorization, a qualified CAMU engineer will be able to access the line directly and analyze any faults. Experience has shown that in many cases this service makes it possible to avoid long and costly travel for support and minimize production downtimes.